In a world where kids already seem to be spending far too much time staring at screens, how do you keep them intellectually challenged without giving them any gadgets? That’s the problem that Chennai startup Flinto Learning Solutions is seeking to address. Flinto is a reference to flint stones and how early humans created fire. It’s a nod to how the company would like to ignite young minds. The five-year-old company that was founded by three dads has become a leading player in the early childhood education segment. 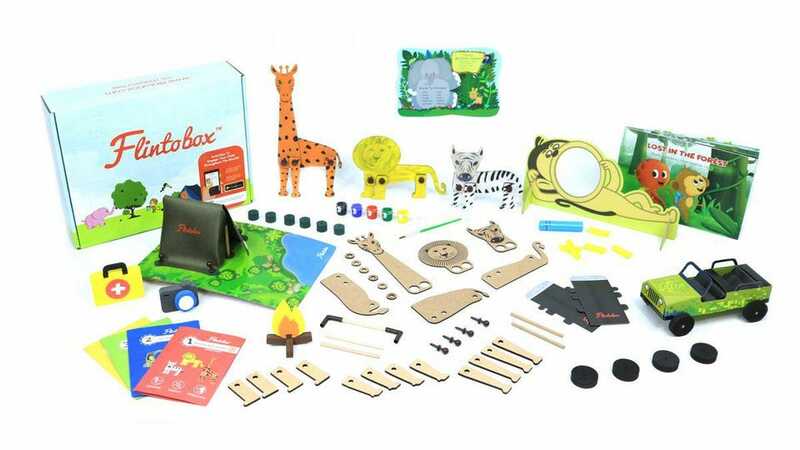 It provides learning kits and activity boxes to children and to mom-and-pop preschools on a subscription basis. It’s raised $9.5 million in funding to date, the latest of which was a debt investment round in August. Flinto’s investors include venture capital firms Globevestor from the U.S. and India’s Lightbox. Flinto said that it made $2.7 million in the past year, and is already profitable at the operational level. It’s looking to make $6 million in the upcoming year. It’s reached more than 500,000 children across 1,000 cities. Flinto is currently shipping to Singapore, Malaysia, Qatar, the UAE, Laos, Indonesia and Kuwait. It sends out 80,000 kits a month, both domestic and overseas. The company’s cofounders: Arunprasad Durairaj, 37, Vijaybabu Gandhi, 38, and Shreenidhi SP, 36, who had all worked for Tata Consultancy Services at one point, started Flinto when they realized that their own kids were in need of more intellectually stimulating activities. The three of them brainstormed and wanted to see if they could put together toys, activities and books that would help parents.